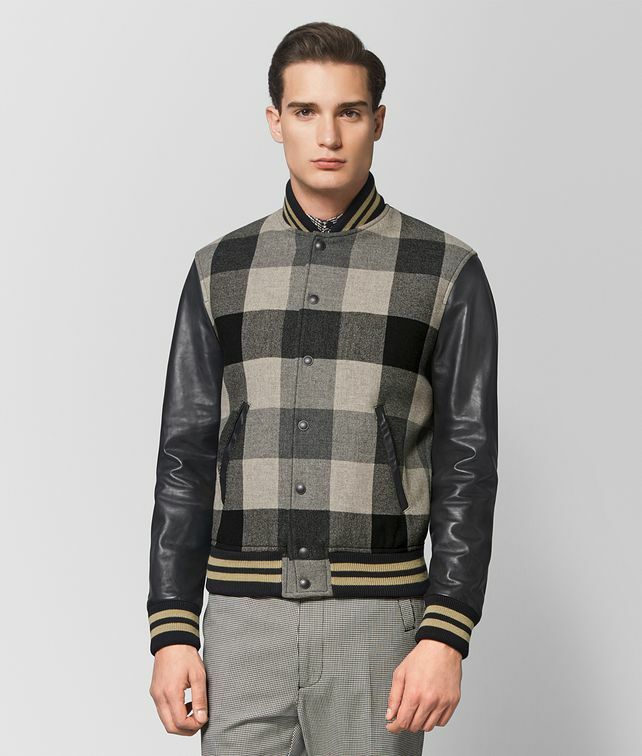 This varsity-style jacket elevates a classic silhouette with luxe double-face wool and cashmere in a subtle oversize check. The transitional style features butter calf leather sleeves and is trimmed in bold collegiate stripes. Signature brunito buttons are engraved with the house’s iconic intrecciato motif.